"Let your spirit roam free and do what you heart knows is right - ignore those who oppose you and try to restrict you, for they are devoid of imagination." Carmen Capuano. You may already be aware that The Owners Volume IV : A New Epoch will soon be published and appearing on Amazon and all the usual places. Volumes V and VI are also written and currently being prepared for publication, however I am now taking a short break from the Owners series. There are a few reasons for this. One is that writing a ten part series without a break is very draining, another is that there are a few other stories and characters who are clamouring for my attention and the final reason is that demand for me to write other genres is very high. So in order to acquiesce, I am now working on a number of other projects, one of which is now almost a quarter done. This particular story is a departure for me as it is more thriller than anything else and is aimed at 15+ because of both content and language. But as we all know, one mistake can be one mistake too many! Anyway as this was only a quick blog catch up, I'll leave you with a snippet from today's writing. The kiss when it came was the sweetest thing I could ever have imagined. A light feathery touch of lips upon lips, it was a promise of strawberries and sunshine and a guy at my side to share it all with. 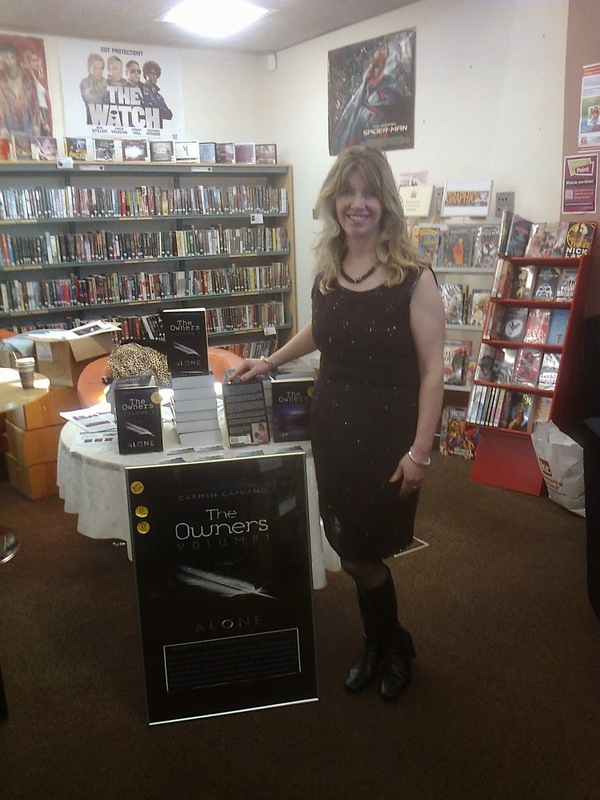 Many thanks to Droitwich Library for their invitation to conduct a book signing event during their Space Day on Saturday. And a heartfelt thank you to all the people who bought my book. I had a fabulous time and met lots of really great people!